You are here: Home / Podcast / Datanauts 119: Is The Full Stack Engineer A Myth? 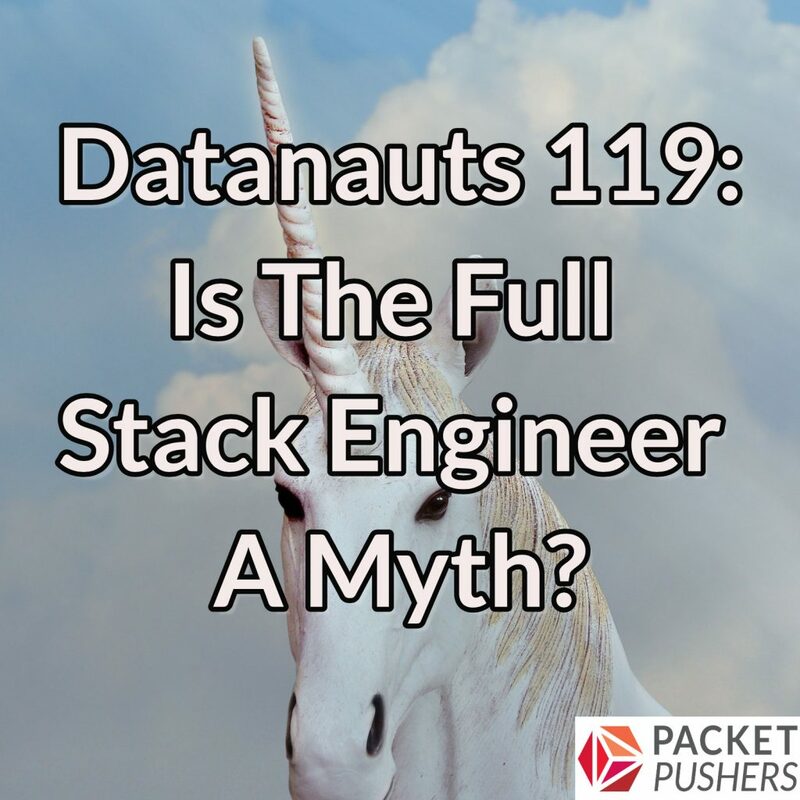 Datanauts 119: Is The Full Stack Engineer A Myth? Modern infrastructure design and operations demand that IT professionals have some familiarity with technologies or disciplines outside their individual specialties. This demand has sparked the notion of the “full stack engineer”: that is, someone with deep knowledge in one or two areas who is also competent at every layer of the infrastructure, including the network, storage, applications, and security. But can you actually go “full stack” or is this more of an aspiration? We tackle this question and grapple with the full-stack concept and what it means for enterprise IT on today’s Datanauts show. We construct a working definition of the full stack engineer, look at how the notion of “full stack” applies to the cloud, and discuss the operational implications of building a full stack environment in an IT organization. Tom blogs at StayClassyInternet. You can also follow him on Twitter. For more on full stack engineering, check out Scott Lowe’s Full Stack Journey podcast. Drew, I appreciate you jokes – keep ‘me coming :).